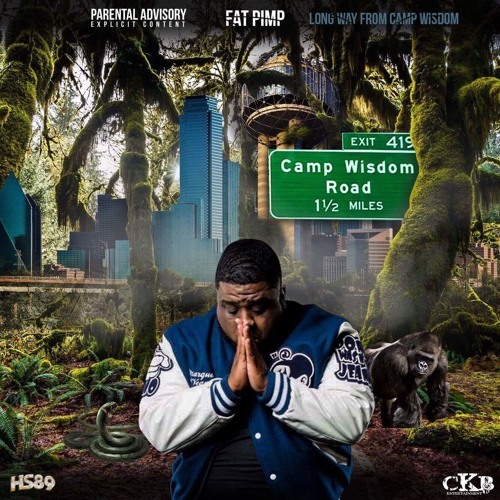 Billboard recording artist Fat Pimp is a music pioneer from Dallas, TX who broke through as an underground rapper with his very first release. Fat Pimp, given his moniker by a high school classmate, began developing his love for music first as a producer, but gradually became known for his impromptu free style sessions while attending Texas Southern University in Houston. Fat honed his skills as a producer to conceive his first hit Rack Daddy, this breakout single spread like a virus on the internet and throughout the south. As a producer and artist Fat Pimp has been cranking out hits ever since, landing him with multiple singles to hit the Billboard charts including the club banger Maserati. Releasing tracks with the likes of Waka Flocka and Manny Fresh, Fat Pimp, has been dominating the southern hip hop scene for the last 8 years and has no intentions of slowing down. His latest records Uh Oh and Hurt They Feelings hit the scene this year in preparation for his next mix tape titled Life After Rack Daddy 1st Quarter. On Monday, August 24, 2015 Fat Pimp signed a multi-year recording deal with California based label Dirty Water Music. This partnership symbolized a new era in Fat Pimp’s music career that coined him as a southern rap pioneer. Fat Pimp is constantly on the road and will be bringing all of his club hits to a city near you.